In honor of Black History Month, Special Collections and University Archives is highlighting some historic figures and events in the century-long history of African Americans at the University of Oregon. These often untold stories represent the determination and strength of the black community at the university as they fought state and institutional challenges. From the era of Oregon’s exclusion laws to the present, African American students and faculty have persevered under often difficult circumstances. What follows below are the stories of several notable people in the UO campus community as well as those events that have shaped the course of African American history at the University of Oregon. This is the first of a series of blog posts highlighting the ongoing work of the Documenting UO History Project within the University Archives. A major part of this project is researching and documenting the often untold and hidden histories of the university’s diverse and underrepresented communities. This year our focus will continue to focus on Black history on campus, specifically Black student activism from the 1960s to present. Although the civil rights era was decades ago, it has become increasingly obvious that racism continues to plague cities large and small from coast to coast — our university, city and nation is in the midst of massive change. In recent years, campus activist groups like the Black Student Union and Black Lives Matter have addressed racism and systematic marginalization of African Americans on the Oregon campus and in the community. Last year, the Black Student Union released a list of 12 demands to address racial discrimination and cultural intolerance. One of the first listed demands was the immediate action to rename all the buildings named after individuals with ties to racist groups or ideologies, including Deady Hall and Dunn Hall. Through an established renaming process involving detailed reports from historians, President Schill announced the immediate renaming of Dunn Hall (now tentatively named Cedar Hall). Yet the status of Deady Hall still remains unknown until further review and consideration (see full message regarding the building renaming from President Schill). Interestingly, the list of demands submitted in 2016 is strikingly similar to the list of demands that the Black Student Union released nearly 40 years earlier in 1968, including the demands for more Black faculty, improved funding for Black students, and increased curriculum on Ethnic Studies, just to name a few. Why are these lists so similar and what does it say about the intervening years? This year we will be investigating this history and questions as part of the larger series within the Documenting UO History project. 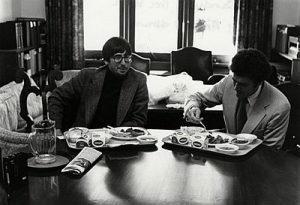 This is the third of a series of blog posts highlighting the ongoing work of the Documenting UO History Project within the University Archives. A major part of this project is researching and documenting the often untold and hidden histories of the university’s diverse and underrepresented communities. This year our focus will continue to focus on Black history on campus, specifically Black student activism from the 1960s to present. In this specially released post we are celebrating the life of Professor Ed Coleman. Prior posts can be seen here. 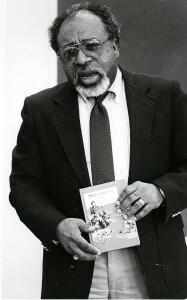 Dr. Edwin Leon Coleman II left an enduring legacy at the University of Oregon and in the Eugene community as an educator, musician, civil rights activist, writer, community and campus organizer, and perhaps most importantly, a friend and advocate of students, faculty and community members of color. His passing on Friday, January 20, shocked circles across the state of Oregon. When it comes to civil rights and activism on the University of Oregon campus and in Eugene, Professor Coleman stands out as one of the most impactful Oregon faculty members of the late 20th century.